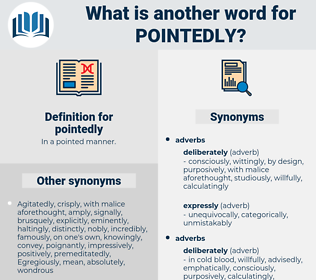 What is another word for pointedly? 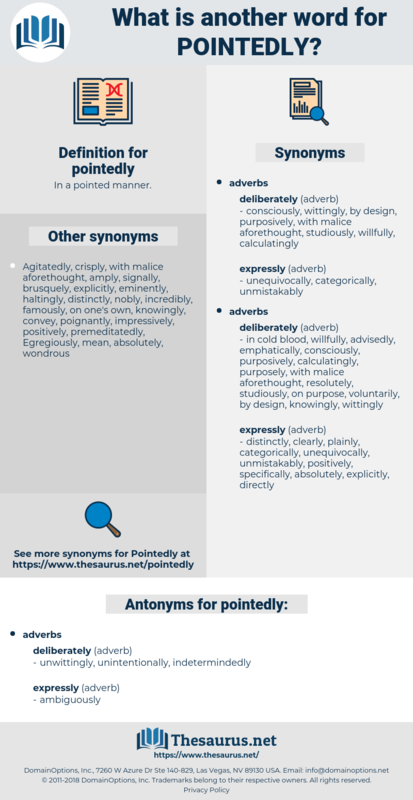 questionably, inaccurately, broadly, indefinitely, generally.
" Reply to all my questions as pointedly and clearly as possible.
" No one can prove your side threw a packed ball," corrected the principal pointedly.